First O’Connell Initiative Event of the Semester! 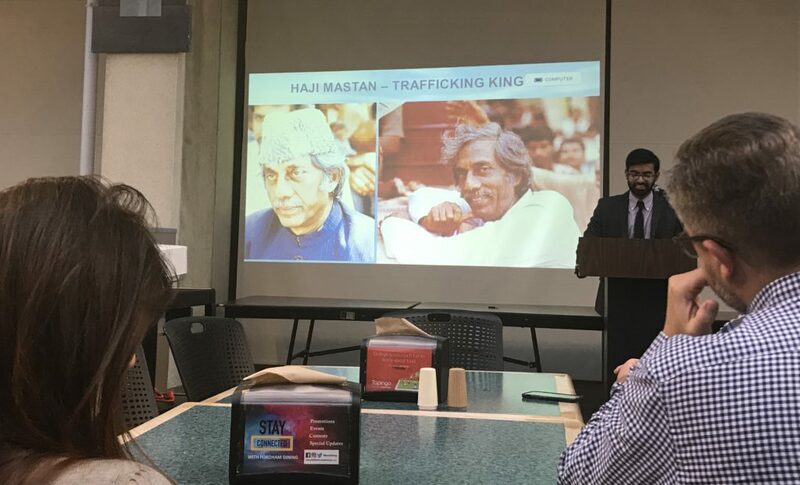 WHO: Dr. Johan Mathew, Rutgers University. 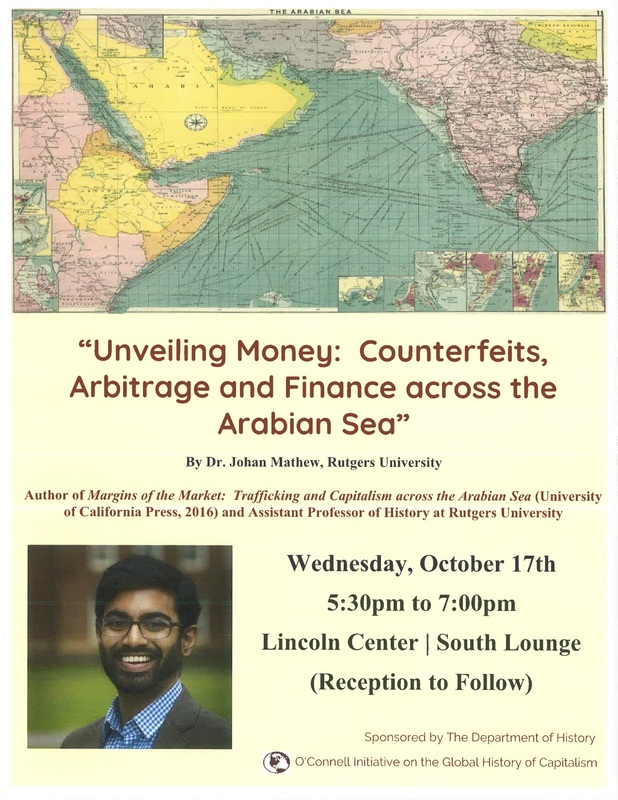 WHAT: “Unveiling Money: Counterfeits, Arbitrage, and Finance across the Arabian Sea”, based on Dr. Mathew’s recent book Margins of the Market: Trafficking and Capitalism Across the Arabian Sea (University of California Press, 2016). 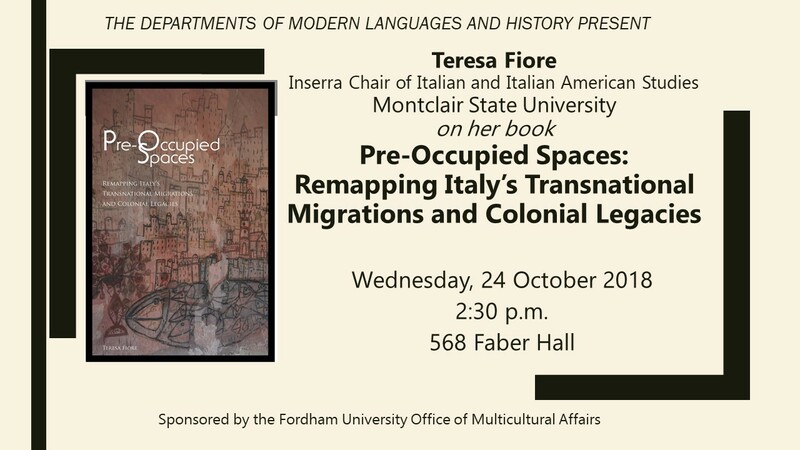 Comments Off on First O’Connell Initiative Event of the Semester!